Shrubs and tall grasses are essential elements of a backyard wildlife habitat. They provide food and places to hide from predators. For some wildlife, they also are places to nest. Plant shrubs in groups of three or more. Use them as hedges or as a backdrop for colorful flowers. Thick, low-growing shrubs make excellent groundcovers. Diversify your shrub choices by height, width, character, and color of their foliage, and time of fruit or seed production. That will add eye-appeal for you, as well as high value to wildlife. Also, include some wildlife-favored evergreens for their tasty fall and winter berries and year-round cover. There’s no need to tear out existing shrubs; as old unsuitable shrubs die, replace them with native species. Grasses provide food and cover for wildlife. Plant them in groups of similar species. Place them in a bed of their own, use them as backdrops for flowers, or along the perimeter of the yard. Let grasses stand over the winter for wildlife cover and to enliven winter’s barren scenery. Cut them down in spring to make way for new growth. Some berry-producing shrubs are either “male” or “female” and will only produce fruit when planted near each other for fertilization. Buy them when they’re fruiting, if possible, to ensure you get both sexes. Or, obtain a guarantee from the seller. As a general rule, you can buy fewer males than females. 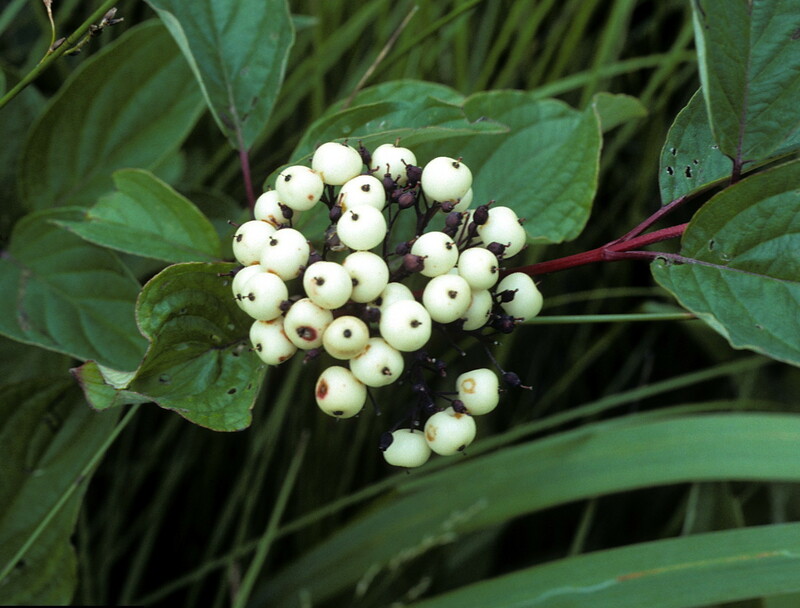 Female plants produce the berries, so there’s no need to plant more males than necessary. The supplier can tell you the exact ratio for each species. Below are some of the most suitable native shrubs and grasses for a backyard wildlife habitat. Not every plant in your yard must be native, but the more, the better. Why native? First of all, it helps to ensure that native species continue to live on in a world where human development is killing them off. Also, because the ones you select have been adapting over hundreds of years to your particular environment, which makes them hardier and less expensive to maintain. Finally, wildlife seems to prefer them over cultivars. Check plant hardiness zones before purchasing to ensure a species is suitable for your locale. (Click here to use the interactive USDA Plant Hardiness Zone Map.) Be mindful, too, of differing soil and moisture conditions needed by plants.